When was the last time you enjoyed some scheduled ‘me time’? If it’s been awhile and your body/mind/spirit is craving a reset, here are the best wellness subscription boxes designed to deliver a major boost to any self-care routine. To maintain physical, spiritual and mental wellness, it’s crucial to spend quality time de-stressing and rejuvenating yourself. Wellness subscription boxes delivered right to your home, or gifted to family and friends, can ensure that happens. Unlock the healing power of handcrafted, artisanal self-care and mindfulness products in each curated box and allow your best you to rise to the top. You deserve it! What's Included: Allow more happiness into your day-to-day with the TheraBox monthly subscription. 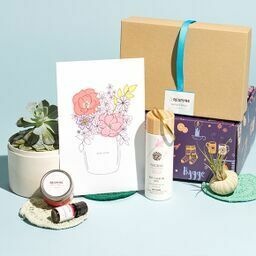 Each month’s box is thoughtfully curated by therapists who aspire to spread delight, and features 5-7 mindfully selected treats to help calm the mind and inspire joy, including organic skincare and bath products, aromatherapy and all-around good vibes. 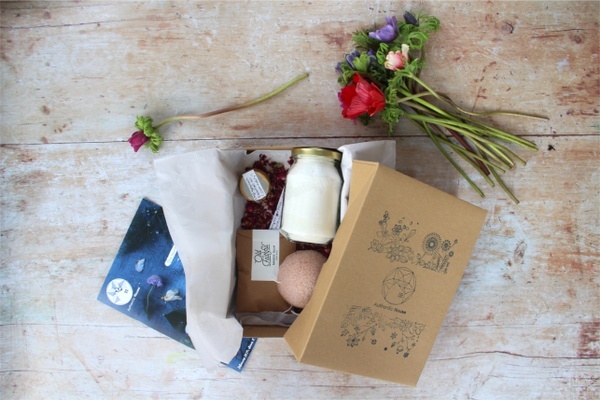 What's Included: Draw a warm bath and slip into affordably luxurious organic bath products packed into the Sudzly monthly subscription box. With products specifically crafted to leave out all the bad stuff and focus on nothing but the best for the body and the environment, high-quality scrubs, bath fizzies, lotions and more instantly elevate any self-care routine. What's Included: My Reward Box is for any woman looking to reward her skin with only the best in skincare. With fun monthly themes, the Regular Box includes 5-6 full-size items and the Mini Box comes with 3-4 full-size items, including high-quality makeup, face masks, artisanal body care products and home goods. What's Included: Beauteque Monthly is a beauty and wellness box that delivers a flawless look through the best in K-beauty skincare. Available in two subscription levels, the Mask Maven and the Beauty Box, each month’s box sends a mix of the top Korean face mask sheets, makeup and skincare products. What's Included: Bath lovers are sure to enjoy the ultimate relaxing bath contained in each box of The Bath Benefit. Sit back and slip into the freshly drawn warm water with 4-7 handcrafted and artisanal bath products and accessories of the finest quality, including bombs, salts, soaps, soaks, candles, washes and gels. There’s plenty to calm the mind and body in every box. What's Included: Strive for wellness and balance in everyday life with Feeling Fab, a subscription wellness box that enhances the practice of mindfulness. Each monthly box features 5-7 premium full-size holistic and natural beauty items, like self-care products, tasty organic treats and accessories for meditation and yoga. What's Included: Mom Time Delivered is a monthly subscription box that delivers tired, busy moms a dose of relaxation. Each box features 5-6 products to help introduce a sense of serenity and improve wellness, including artisanally crafted bath accessories, delicious treats, and teas and coffees, to ensure that moms slow down and unwind. What's Included: Bring some much needed warmth and wellness into life with Respyre. Each subscription comes filled with herbal infusions and daytime teas to help rejuvenate on even the longest days. Curated with wellness in mind, each themed box delivers 30-40 cups of handcrafted teas focused on increasing energy, decreasing stress and improving sleep. What's Included: Breathe in the relaxation and live an inspired life with the help of the Bombay & Cedar box that delivers 2 of the company’s essential oils in each box. Along with 6-7 full-size luxury products including diffusers, home goods and snacks, every box contains plenty to spark your spirit. What's Included: Treat both the inner and outer goddess to nothing but the best with the Goddess Provisions box. Thoughtfully curated to enhance spiritual practice, each monthly box includes 4-6 full-size items, including 100% vegan and cruelty-free apothecary beauty products, superfood snacks, crystals, aromatherapy, teas, books and more. What's Included: The TokiBox is designed to make living the vegan lifestyle a whole lot easier. Delivering a curated selection of 6 full-size or sample-size beauty, health and lifestyle products, including skincare, wellness items, treats and beverages, this box is a must-try for the #veganandproud crowd. What's Included: The Candle + Spa Box by Wicked Flame is the perfect opportunity to give yourself or a loved one some time devoted to relaxation. In each delivery, unbox artisan candles, luxurious vegan bath and body products, like handmade soaps, scrubs, masks, body butters and more, along with a curated Spotify playlist selected according to a new monthly theme. 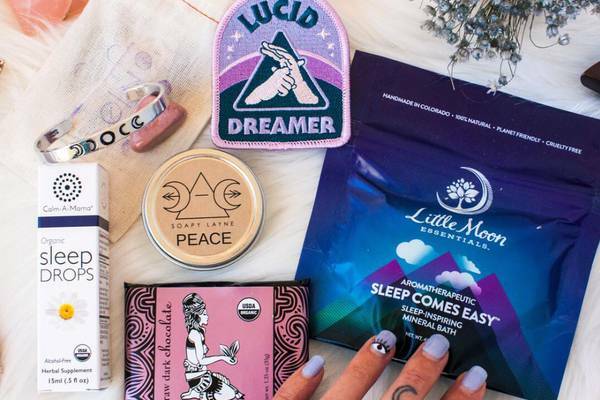 What's Included: Crystals have become a popular trend in wellness due to their calming and healing powers, and Enchanted Crystal is a subscription box that delivers a thoughtfully curated box to aid in any wellness journey. Choose between two subscription tiers to receive an assortment of crystal and minerals sourced from around the world. Bonus, all boxes are packaged using eco-friendly and recyclable materials! What's Included: Bath Bevy is one of the best wellness boxes, bringing the healing and restorative power of baths each month. Featuring 6-10 thoughtfully crafted and curated bath goodies in every box, including scrubs, soaps and bombs, this subscription sends a healthy dose of recuperation and relaxation. What's Included: If you're looking to refresh your skincare routine with all-natural products, then Modern Skyn Apothecary is definitely worth a try. Each bath and body ritual box is filled with over $100 in cruelty-free and organic skincare products like facial serum, cleanser, hydrating elixirs, and lip polish. 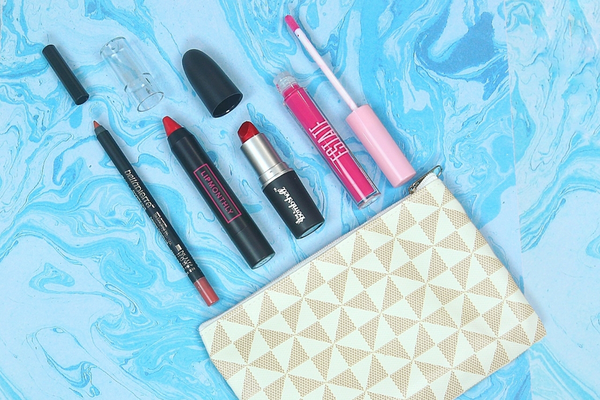 Different products are delivered each month so subscribers can to try new products! Didn’t find just the right wellness subscription box for you?